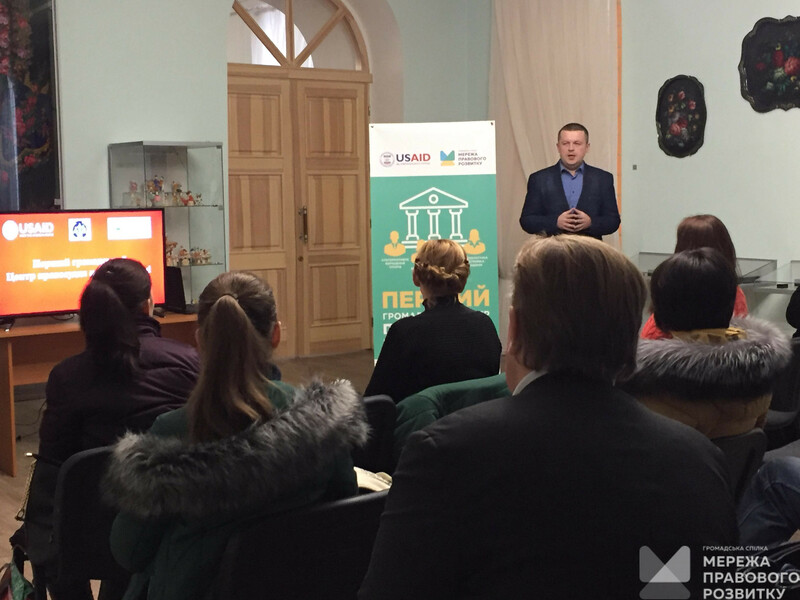 On December 21, 2018, in Chuguiv, Kharkiv region, a public event was held on informing about the launching the project “The First Civil Justice Centre in the Kharkiv Region”. Representatives of state and local authorities involved in the project implementation, the public and the media took part in the event. Roman Lykhachov, the project manager, started the meeting. He spoke about the international experience of implementing centres for improving access to justice and the prospects for the creation of such centres in Ukraine. In his opening speech, Vitaliy Zavgorodnyi, an advisor to the chairman of the Chuguiv district council, emphasized the need to increase citizens’ confidence in the activities and services provided by the authorities, local self-government and the court, and expressed confidence that the implementation of the project would contribute to this process. 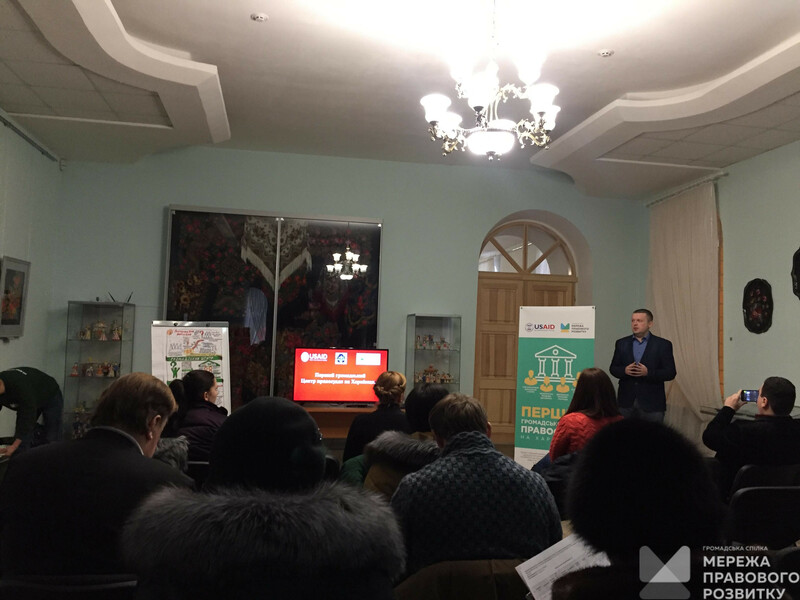 Vitaliy Babyka, a member of the Board of the Legal Development Network, presented the concept of the Centre’s operation, its goals and objectives, as well as the expected results. During the presentation, the participants got acquainted with the project implementation plan and interested parties that will participate in its implementation. They were informed on services to be provided by the centre and the mechanism for their receipt. After that, the participants had an opportunity to ask their questions. In particular, they raised the issues of providing legal aid, redirecting clients, introducing school mediation and alternative dispute resolution. 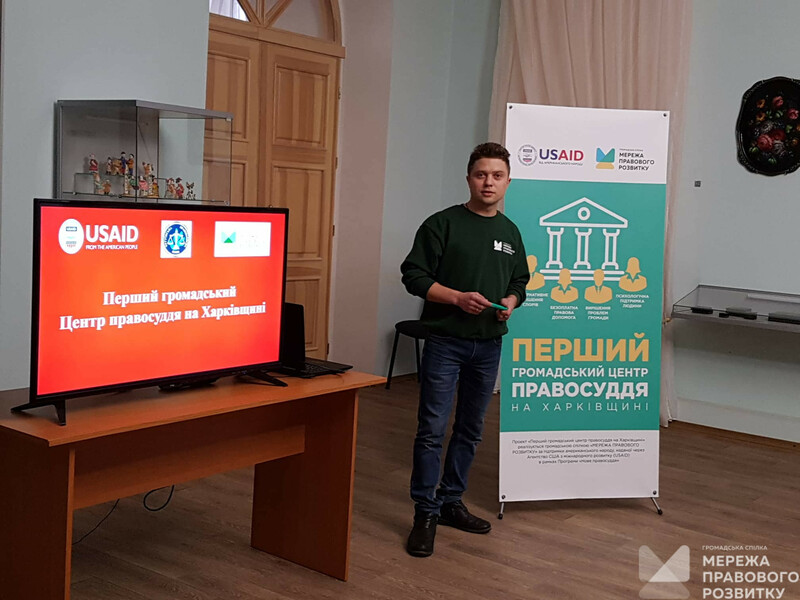 The event ended with another nice event: Roman Lykhachov and Vitaliy Zavhorodniy awarded the winners of the student essay contest “Human Rights Through the Prism of Today”, organized by the NGO “Chuguiv Human Rights Protection Group”. 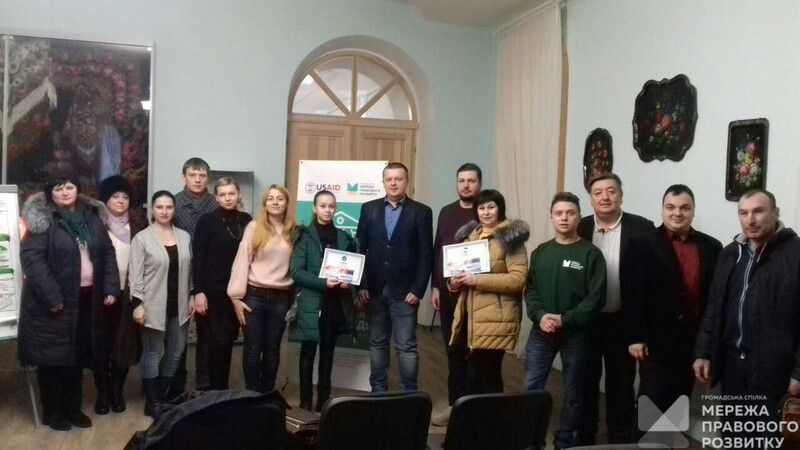 The winners were the pupil of the Zarozhnenskyi Educational Complex of the Chuguiv District Council Liliana Tugay and her teacher Nadia Prologaeva; they received certificates and valuable gifts. 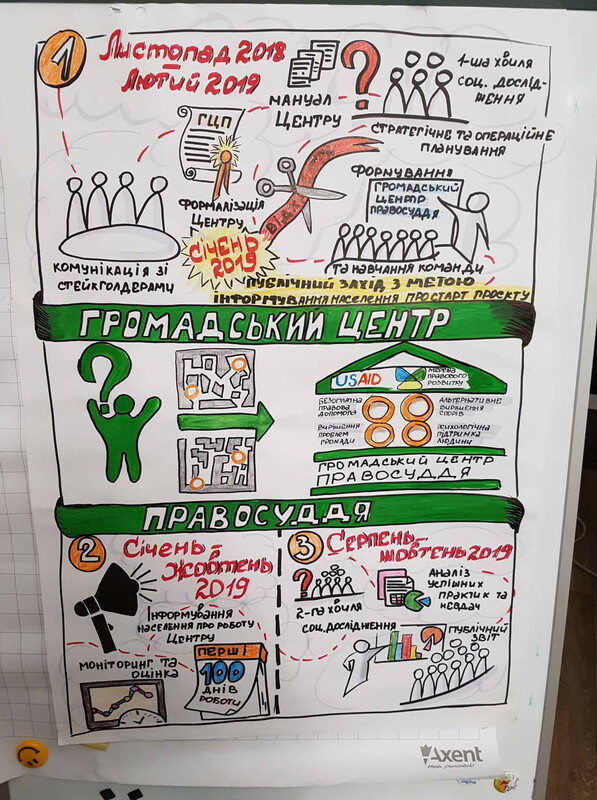 The first civil justice centrein the Kharkiv region was founded on the basis of the Chuguiv Office of the Legal Development Network at the NGO Chuguyiv Human Rights Protection Group. 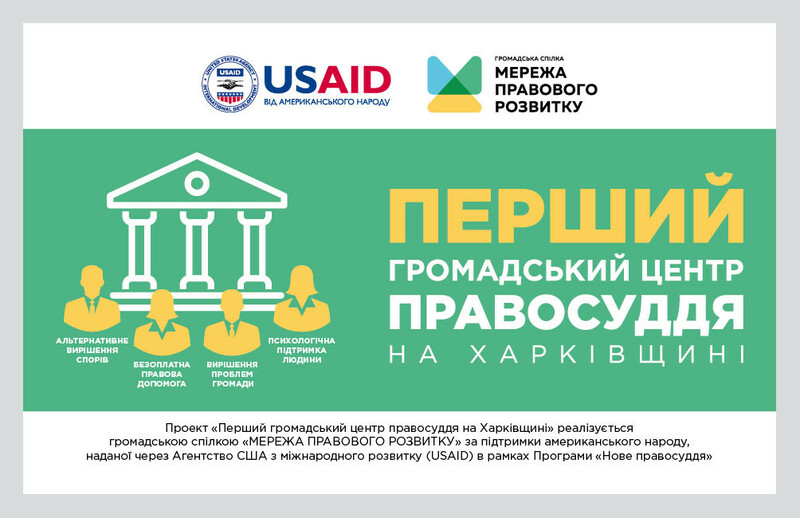 The project “The First Civil Justice Center in the Kharkiv Region” is being implemented by the Legal Development Network, provided through the United States Agency for International Development (USAID) within the framework of the New Justice Program. If you have notices an error on the web-site, please, highlight the text and press ctrl-enter. Have you found your solution? Help others! Do you need a consultation ? Поставте питання, i один з експертiв Мережi надасть вiдповiдь. Графік роботи чату: з 10:00 до 16:00 у будні дні (обідня перерва з 13:00 до 14:00). Find the nearest consulting room in your city and apply for a consultation.